1 Heat the olive oil in a frying pan and fry the mushrooms until golden and quite dry. Add the garlic and rosemary and fry for 1 minute more. 2 Meanwhile, heat the oven to 200°C. 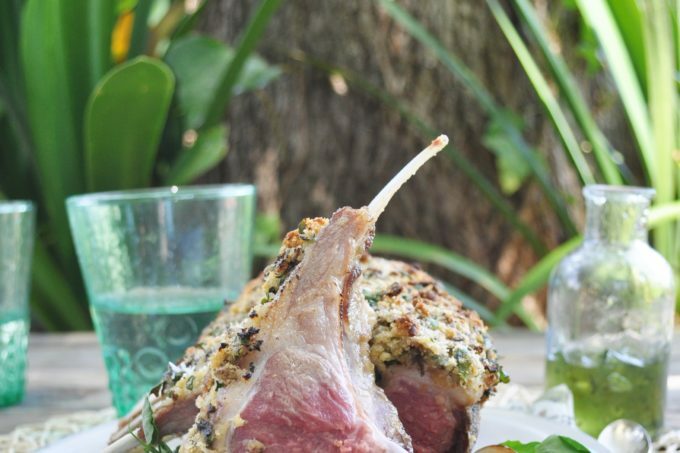 Season and brush the lamb racks with the mint jelly. 3 In a bowl, mix together the mushrooms, breadcrumbs, parsley, lemon zest and feta. 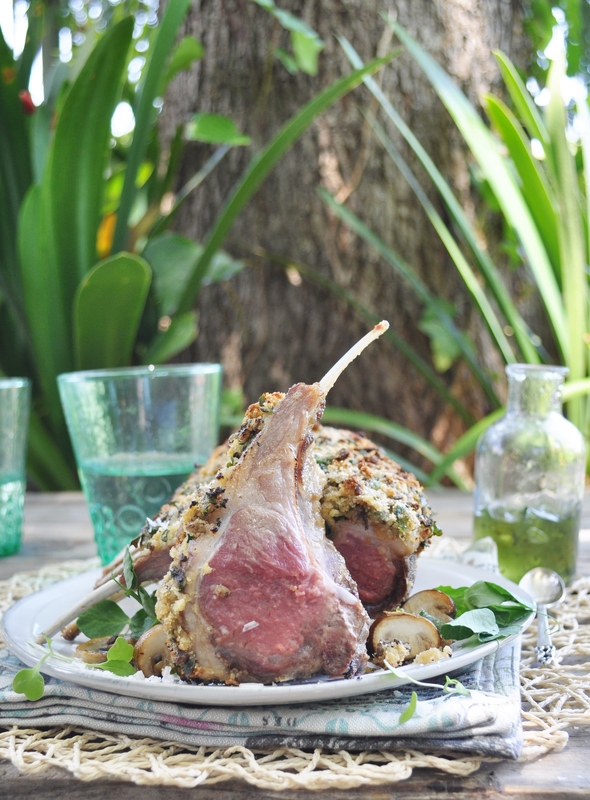 Press onto the lamb racks. Transfer to a greased baking tray and roast for 30-40 minutes, depending on how you like your meat done. Rest before carving. 1 Whisk the 3 eggs in a bowl and add salt and pepper to taste. 2 Panfry the Portabellas in a non-stick pan for about 3 minutes and put aside. 5 Heat the olive oil. Panfry the omelette on both sides and then cut into four circles. 6 Stack the omelettes circles and the Portabellas. 7 Garnish with the spring onions, a few chopped Portabellinis and dot a bit of truffle oil on the omelette and on the plate. 1 Heat oven to 220°C. Drizzle cauliflower steaks, both sides, with avocado oil. Season and place on a baking tray. Bake for 20 minutes, then flip and cook for another 10 minutes. 2 Meanwhile, heat the olive oil in a large frying pan, add the onion and mushrooms, and fry over a high heat for 5 minutes, until golden. 3 Add the bacon and fry for another 5 minutes. Beat the eggs and cream together and season well. 4 Remove the pan from the heat and stir through the egg mixture. Check seasoning and serve immediately spooned over the cauliflower steaks. 1 Heat the oil and half the butter in a large pan over a low heat. 2 Add the onion, garlic and cook for 7 minutes. Add the leek and sweet potato and cook for 5 minutes. Stir in the sherry and miso paste. 3 Reserve 50g of each mushroom and add the balance of the mushrooms to the pot. Cook for 3 minutes. 4 Add the stock and thyme leaves. Bring to a boil then simmer for 10-15 minutes. Remove the pan from the heat and cool. 5 Blend in a blender, return the soup to the pan and reheat, adding the cream and seasoning to taste. 6 Meanwhile, melt the remaining 20g butter in a frying pan over a medium heat. Fry the reserved mushrooms until golden and browned. 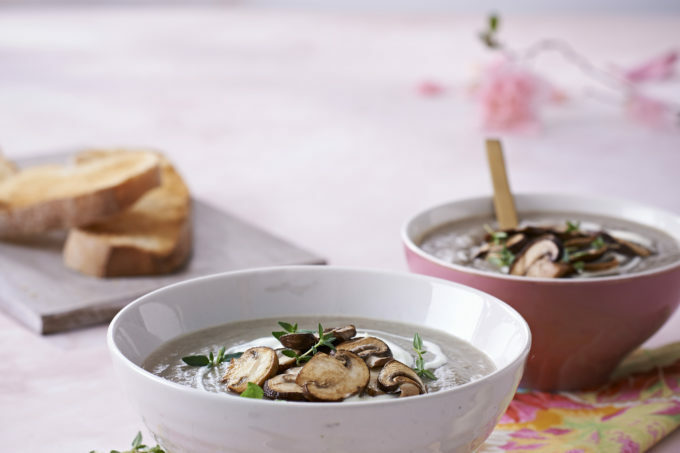 7 Ladle the soup into bowls, drizzle with extra cream and garnish with pan-fried mushrooms and fresh thyme. 1 Slice button mushrooms into quarters and place in a large mixing bowl. Drizzle the mushrooms with the vinegar, olive oil, chilli, oregano and a good amount of salt and pepper. Roughly chop the coriander and add that along with the red onion to the bowl. Toss well and set aside. 2 Using a mandolin (or very sharp knife) slice ribbons of cucumber and thin rounds of radish. Drain the artichoke hearts. 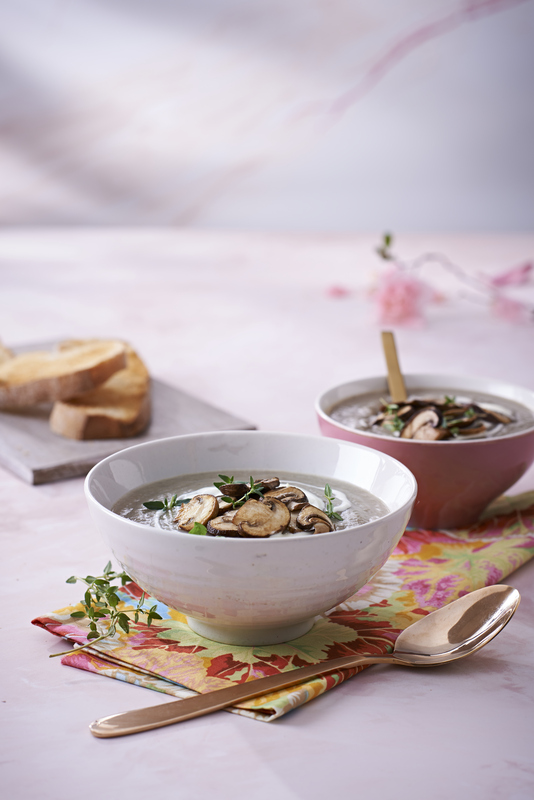 3 Add the cucumber ribbons, radish and artichoke hearts to the large bowl of marinating mushrooms. 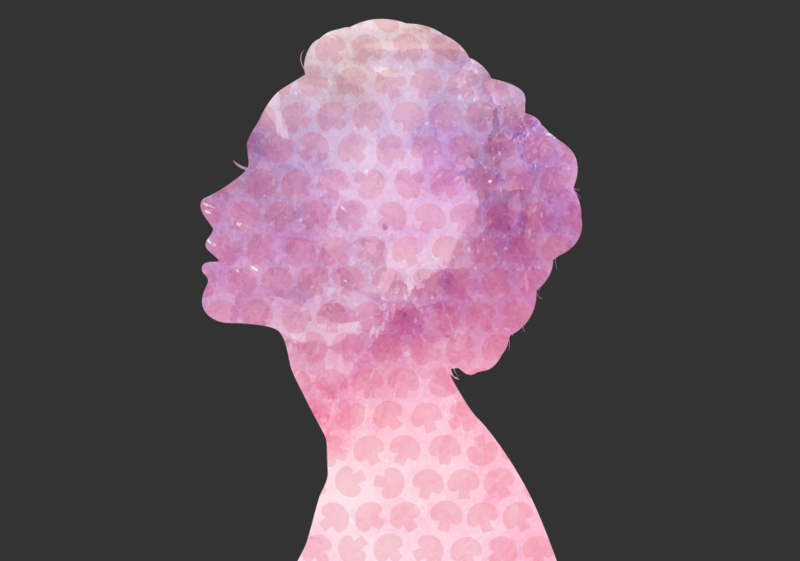 Give everything a gentle toss. 4 Arrange baby leaves in a large, shallow salad bowl. Top with the dressed mushroom and veggie mix. 5 Finally crumble over the feta and finish with pumpkin seeds for crunch. 1 Creamy Mushroom Chicken: Heat the oil in a pan and fry the onion for 3-4 minutes over a medium heat. Add the garlic and cook for 2 minutes. Increase the heat and fry the chicken for 4-5 minutes. Add the mushrooms and peppers and cook for 4-5 minutes. Remove from the heat and stir in the white sauce and 50g of the cheese. Season with salt and pepper. 2 Baked Potatoes: Preheat oven to 180˚C. Rub the potatoes with 15ml oil and wrap in foil. Bake in the oven for 60-80 minutes, or until the potatoes are crispy on the outside and cooked on the inside. Make a cross in each potato, don’t cut all of the way through. 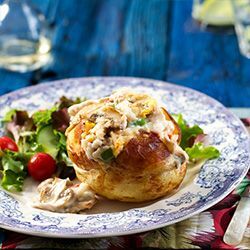 Divide the creamy mushroom chicken mixture between the baked potatoes. Top with the remaining 50g cheese. Bake in the oven for 10 minutes. Serve at once with a side salad. 1 Heat the oven to 220°C. Fry the mushrooms in the coconut oil, stirring often, until golden brown, about 5-8 minutes. You may have to do this in batches. 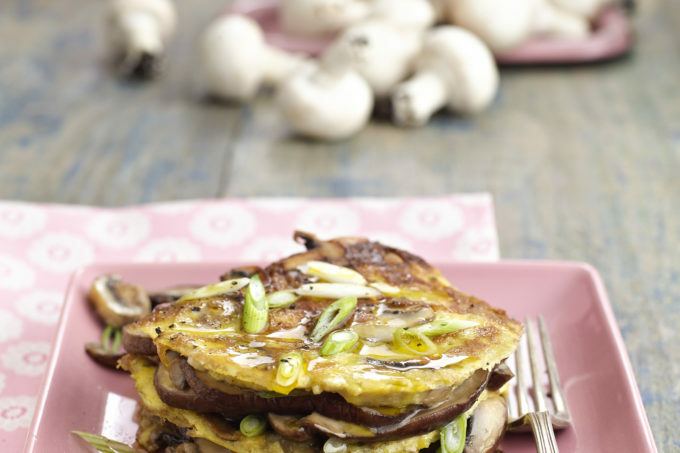 2 Using your hands, thoroughly combine the mushrooms with the beef, onion, garlic, egg, Parmesan, salt and pepper. 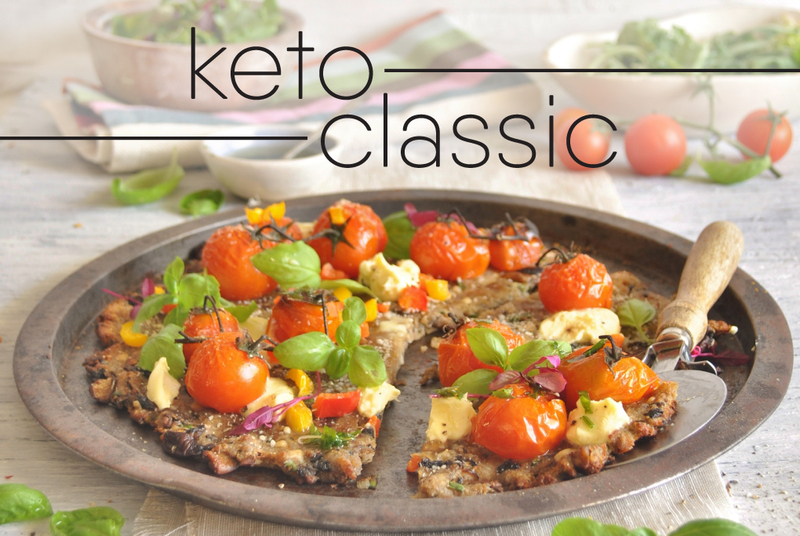 3 Line a baking tray with parchment paper, or use a large round pizza stone. 4 Flatten the meat and mushroom mixture onto the paper, about 1cm thick. Bake for 10-15 minutes. 5 Add the toppings of your choice and return to the oven for 5 minutes, until the cheese is melted and golden. Cut into slices and serve with a salad. 1 Place the lemon juice, orange juice and zest into a non-metallic mixing bowl. 2 Add the red onion, stir and set aside for 15 minutes. 3 Add the mushrooms and stand for 5 minutes. 4 Carefully stir in the remaining ingredients and season to taste. 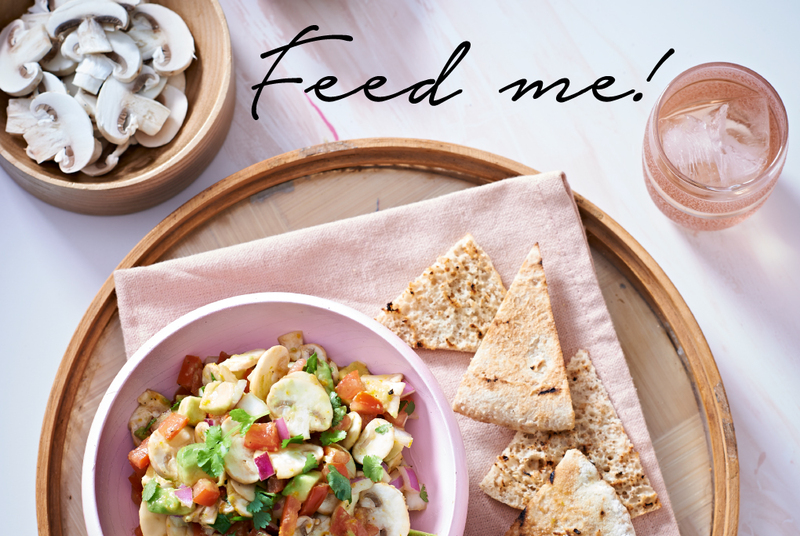 5 Drain away any excess liquid and serve the mushroom ceviche with pita toasts or nachos. Food consultant Heleen Meyer loves cooking with fresh ingredients and allowing the natural flavours of the produce to shine through. 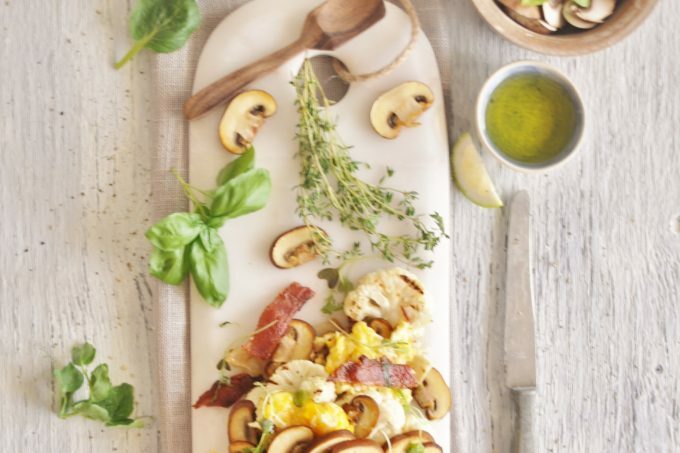 Her Mushroom Kebabs http://bit.ly/2Gf4EXR need to become a lunch staple in your home, great for braai days, quick suppers, vegetarian mains and meat-eater sides… and, of course, next-day-office-lunch-leftovers! 1 Quarter or halve the mushrooms, making sure they are in more or less even-sized pieces so that they cook evenly and don’t need to be grilled for too long. Thread about 4 mushroom pieces onto each kebab stick. 2 Mix the rest of the ingredients together and season with pepper. 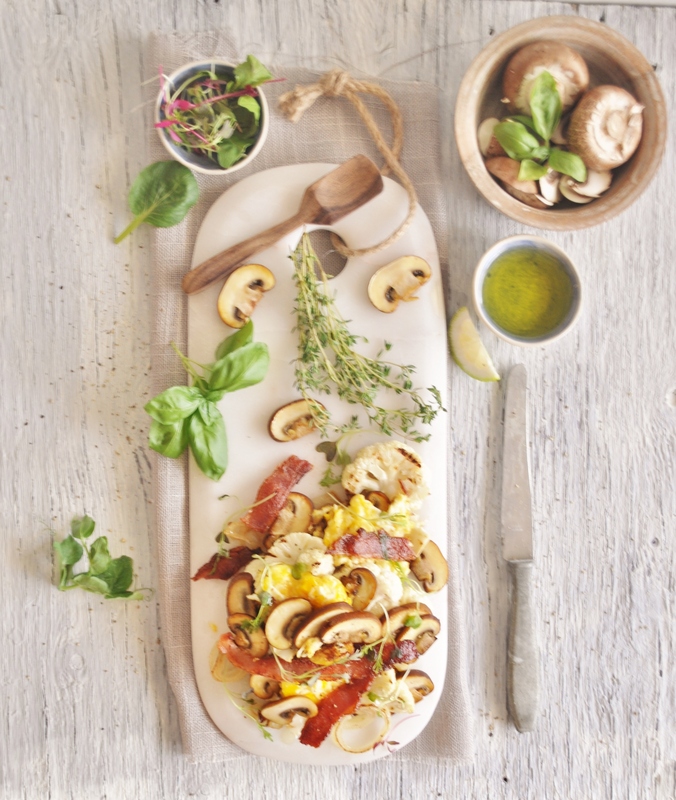 Remember that no salt is needed as mushrooms have a natural salty flavour. 3 Brush the oil mixture over the kebabs until well coated. 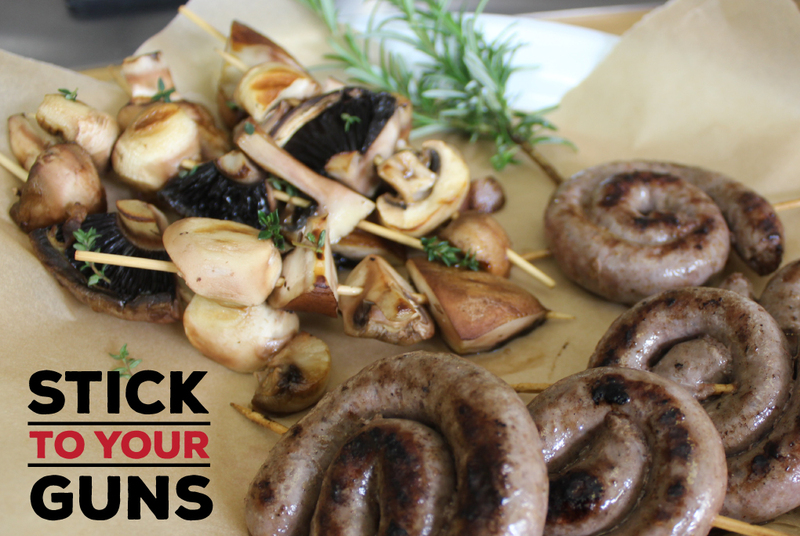 4 Braai kebabs over medium coals for 5-10 minutes or until just cooked. 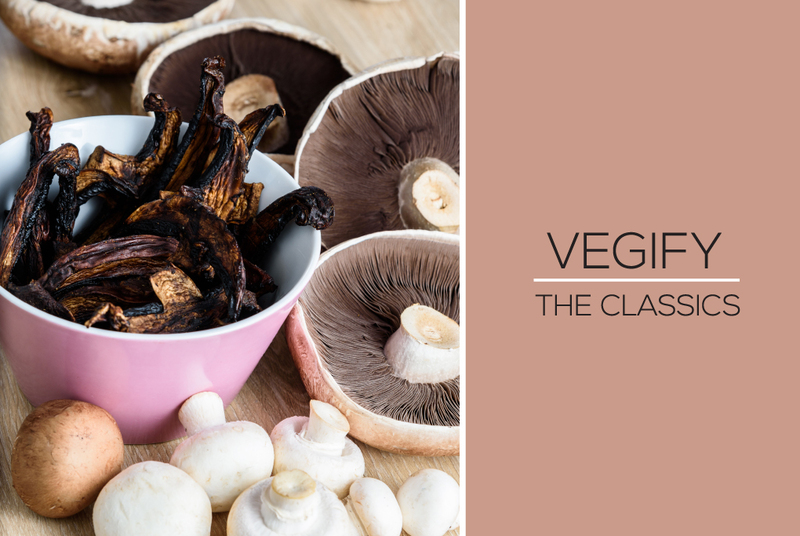 Turn once or twice to ensure that the mushrooms cook evenly and brush with more of the oil mixture. 5 Sprinkle with extra thyme and serve as part of a meal with your favourite salad or side dishes. 3 Marinade mushrooms for 2-4 hours. 4 Place mushrooms on a dehydrator tray. 5 Dehydrate mushrooms for 6-8 hours (or until as dry as you like). 6 Can be kept for up to 2 weeks.